Each box contains 40 packs. Each pack contains 6 cards. 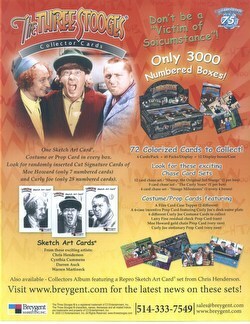 Each box contains 1 Sketch Art, Costume, or Prop card. 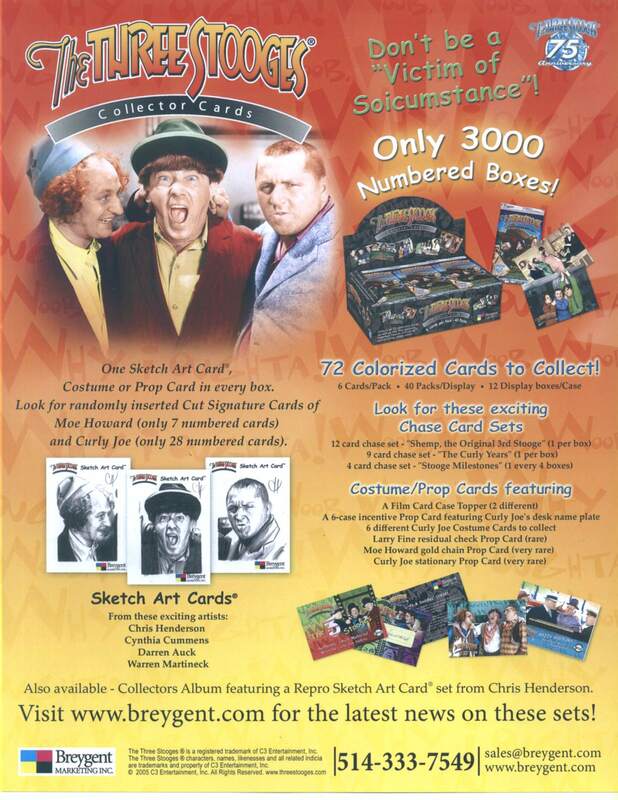 Sketch Art cards will be done by Chris Henderson, Cynthia Cummens, Darren Auck, and Warren Martineck.